Speaking at presentations whether it be at work or school has always been an integral part of our lives. As skilled students and future application designers, we will be required to conduct technical presentations. 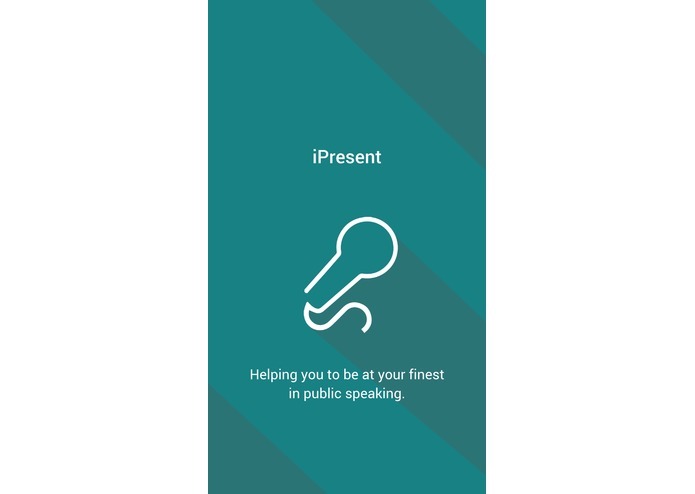 Our group designed the iPresent application to equip ourselves and others with the confidence boost needed to speak in front of large crowds whether at work or school. Moreover, it helps enhance the communication skills of those who are in need. 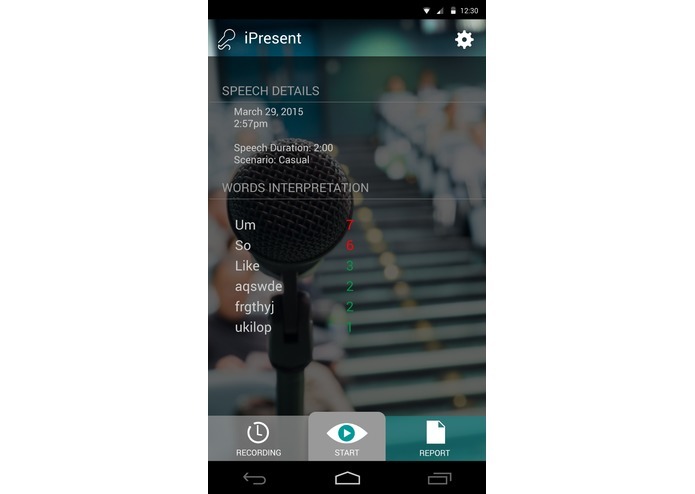 Our goal, with this application, is to increase self-esteem and confidence levels for those individuals who struggle to present in front of large crowds. With virtual reality growing at a steady phase, we decided to use Google cardboard to integrate emerging technology in our application. 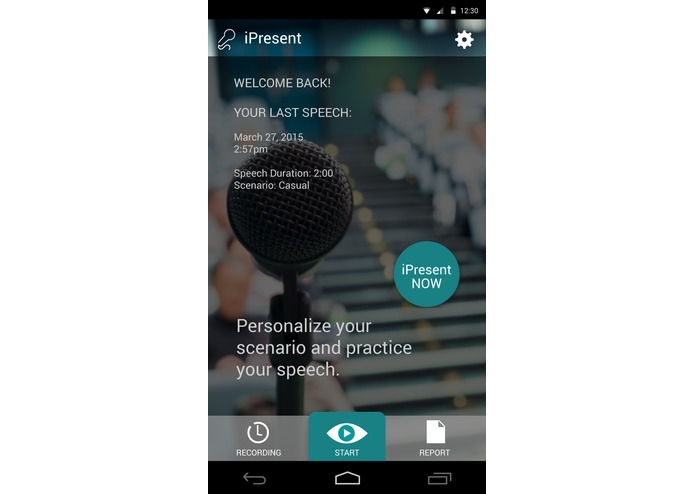 Since everyone can use a virtual audience to enhance their presentation skills, we are not restricting our user base to a particular demography. However, the application would suit those with low confidence or weak communication skills. 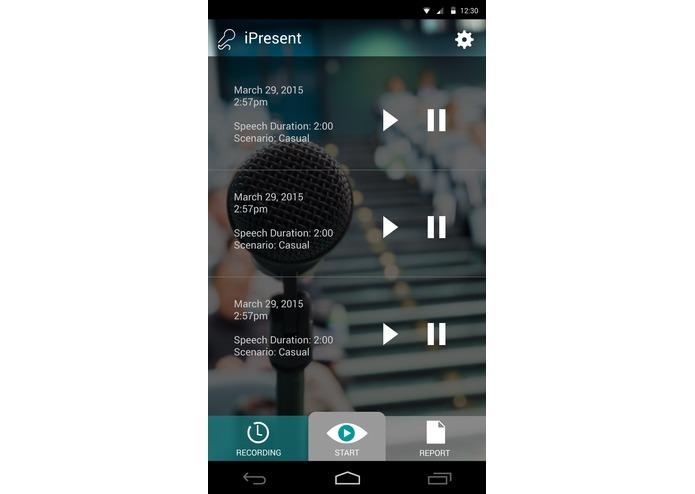 This is particularly useful for students in high school and post-secondary educations where presentations are an integral part of the curriculum. This application would be a valuable asset for those in their final years of post-secondary or post-graduation programs as they would be presenting their design project or thesis. It would also provide incredible value for those preparing for job interviews and those already in the workforce. 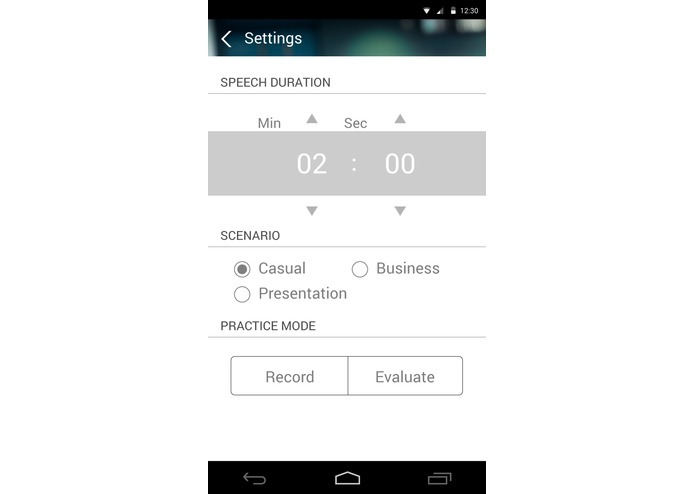 One of the key features of this application that we are proud of is the voice recognition aspect. We are delighted to know that our application counts the number of times a user pauses or breaks (e.g. “uh”, “um”, “like”, etc…). This gives them a good indication of the delivery and quality of their material. Having too many pauses is not good as the audience may not fully understand what the presenter is trying to convey. It is also not recommended to break sentences during a job interview as it does not show confidence. The fact that our application captures such distinct phrases is a phenomenal accomplishment that we are proud of. We are also proud to provide an elegant UI for an android application. 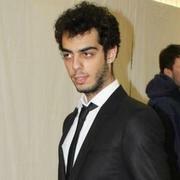 The UI is extremely user friendly and very easy to use. With its appealing style and ease of use, the application is sure to be adopted by many users.